There are lots and lots of PLC (Programmable Logic Controller) available in the market and many PLC companies are emerging day by day with their own make and model PLC's and HMI. The best part is that they also provide free copies of their PLC software for your use. You can download the free PLC software from their website and can start learning their instructions, though the logic of all the ladder programming is same and you won't be having any issue in using this software's. Subscribe to Automation-Talk by Email. 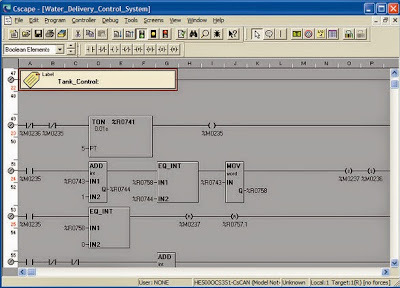 Even if you are not a experienced PLC programmer and still searching for job in automation industry, then you should try these free ladder logic programming software to increase your knowledge and programming skills. Why you should stick to only 1-2 brands of PLC's when you can try many different PLC's logic. Big automation companies like Siemens, Allen Bradley, Omron etc. do not provide their PLC and HMI software for free, you have to buy license of their software's. So it is better to have goods hands-on some of the freely available software's. 1. Delta PLC Software: Delta PLC's are very popular due to their cheap cost and easy handling. Delta automation provides its PLC software WplSoft for free. Any one can download their software without any login. 2. 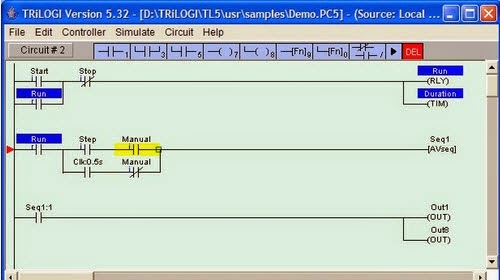 TRiLOGI: This is one of the best ladder logic learning software for students and any student or university can use this software free of charge by just writing an email to software company. 3. Cscape Free PLC Software: This PLC software is from Horner Automation group which deals in all-in-one controllers, remote I/O, expansion etc. Cscape is a free PLC software with drag and drop feature. It is very easy to use and you can download this software by just creating an account with them. This software combines graphical ladder diagram programming based on IEC-1131 with operator interface development to completely integrate the control package which is definitely a great feature. 4. Eware32: This software is from Entertron Industries Inc. and work with Entertron's ePLCs only as other software's. This software also has free simulator option so it can even work without any PLC hardware. 5. KV-Ladder Builder : This is a PLC programming software from Keyence and is freely available at their website. You can download the software by creating account with them. This software also have a simulator mode, so you don't require actual PLC to test your ladder programs. 6. 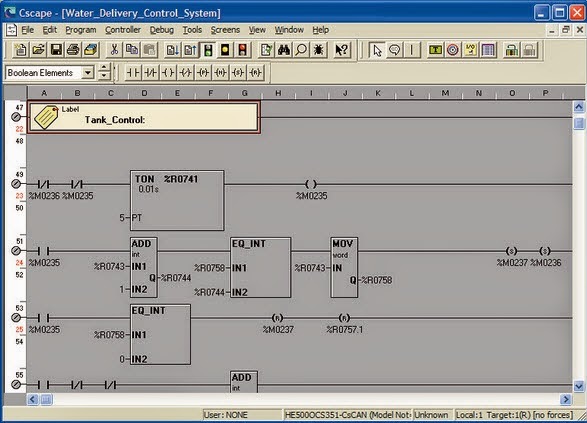 Do-more Designer Programming Software: This software is freely available and is from Automation Direct. This software work well in Windows XP, Windows 7 and Windows 8 also both 32 or 64-bit versions. When connected to internet it automatically checks for software and firmware updates. There are lot more other free PLC software's available and you can download them from their official websites. If they are not full version at least you can get trail version for testing. I hope you enjoyed this article and it will benefit you in your programming and trying different flavors of PLC's. Please leave your feedback's and comments and also subscribe to our email subscription for free to get latest update on email. Very grateful, guidance has helped me a lot. I am instructor of electricity in a youth training center-Don Bosco Salesian. Thanks for liking. Hope you will visit again for more. Please check Omron website for software. We doubt Siemens software are FREE.